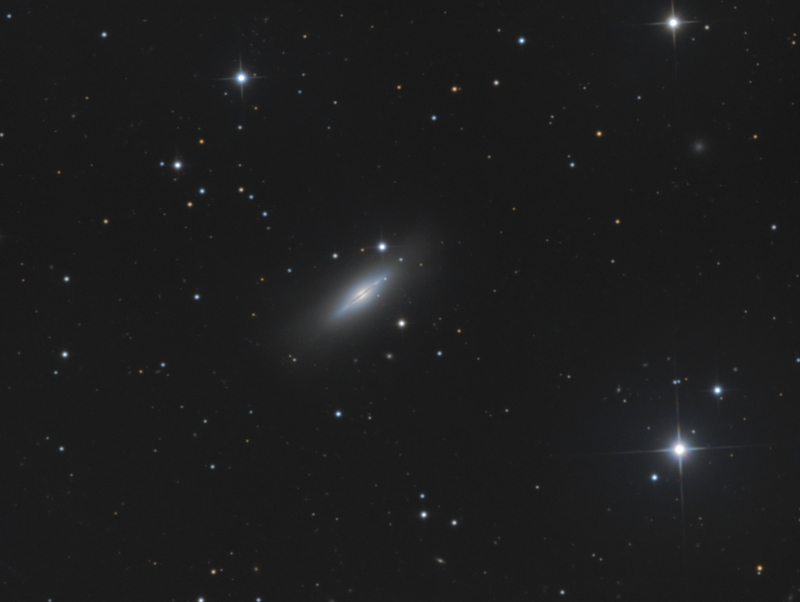 M102 (NGC 5866, or the Spindle Galaxy) is alenticular edge-on galaxy in Draco that lies about 50 million light-years away. There is some controversy about the identification of this galaxy in the Messier list and the entry may have referred to the Pinwheel galaxy, M101, instead. In any event, this edge-on displays an interesting and distinct thin dark lane that bisects the galaxy from our point of view. Exposure: LRGB: L:16x10 min R:12x8 min, G:10x6 min, B:9x10 min for a total of 6.8 hrs.